RoosterFin’s Summer Family Game Night Pack includes everything you need for a fun game night trying out RoosterFin's new game, Mighty Pig Tug! It's a wild fast-paced game of pig tug-of-war. 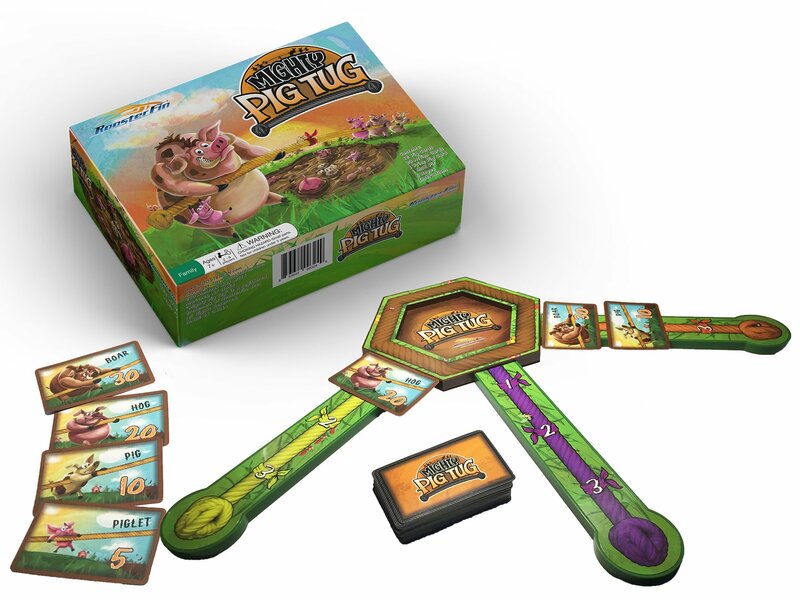 Each player must build the best three-pig team all while having fun pulling and pushing pigs into the mud! This game was created by Joe RoosterFin, former math teacher, whose games are award-winning, easy-to-learn, educational, and fun for the whole family! These games are perfect for game night or perfect birthday gifts. Giveaway Package Includes: One signed copy of the new game Mighty Pig Tug by inventor Joe RoosterFin, a Mighty Pig Tug BBQ Themed Family game night pack AND, a bonus $50 Amazon Gift Card.